It's no secret that I love Valentine's Day. So it might be a Hallmark invented holiday (pshhh)? So it might celebrate love in gift-centered, over-sugared way (pshhh)? But you guys, Lovey puns abound. What's not to love if you love puns and love notes? I have fond memories of valentines past. Tearing the perforated New Kids on the Block valentines straight outta the box. Choosing exactly which one to give Lindsay, Rebecca, Abby, Michael Clyde and Mitchell Hager, respectively. I remember dressing up a shoebox with construction paper hearts and pipe cleaners. The nuns even let us use markers and glitter. It was the best (and a lot like my everyday life right now.) It was thrilling to get home and look through the bedazzled shoebox to see who sprung for the candy heart cards, who gave you the card with Danny on it (ugh) and figure out which boys in the class gave you the lovey-est ninja turtle card (and thus thought you were cute despite your red glasses). I've heard through the mom-wire that these days kids don't just bring those sweet little paper valentines and drop them in pimped out shoeboxes. 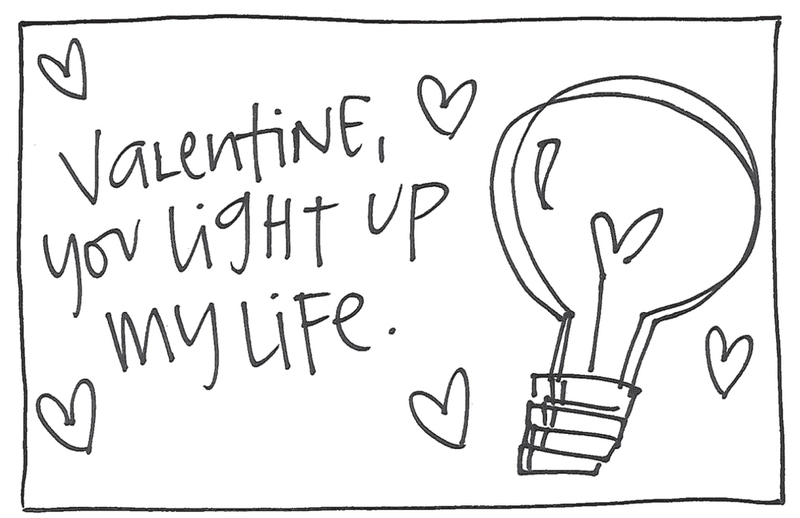 That valentine's day now comes with food allergies and Pinterest. 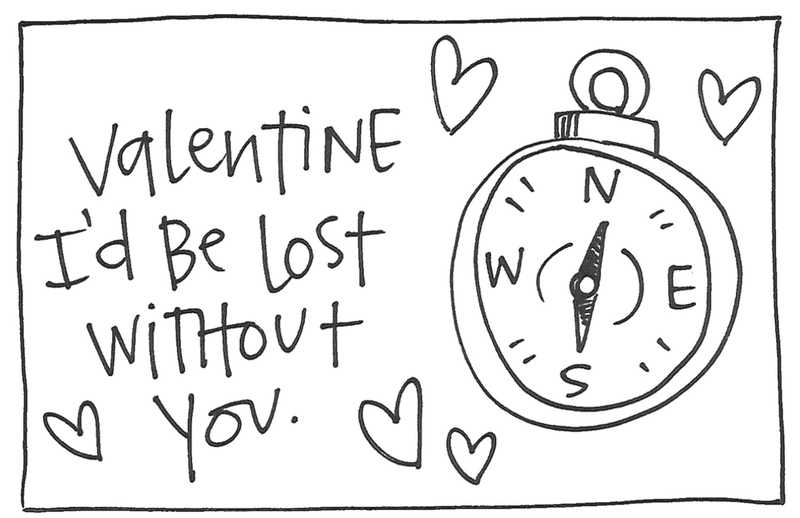 UPDATE: Valentine Printables are LIVE! Click here and I'll show you! Together we'll put the LOVE back in Valentine's day.